Originally I wasn't planning to do this game as part of the NCEL groundhop, thinking it was too far away to get to from the Wycombe v Accrington game to avoid missing most of the game. But as time wore on, I realised that if I got my skates on, I might make some of the first half. I went from 'might give it a go' a few days before the event to 'determined to do it' in a couple of days leading up to it. On the day I was working, but it was so quiet that I got off at 9.45. I then had a few hours to kill at home before setting off for Adams Park about 2.15, a lot later than usual. This turned out to be to my cost as I found it tricky to get a parking space and only made kick off with 5 minutes to spare. It wasn't really worth it in the end, Accrington triumphing with a last minute goal in a dire game. To rub salt into the wounds, their goal was scored by Lee Molyneux, who should have been sent off in the first half for hitting our debutant keeper Matt Ingram. Ingram had recently been on loan at Oxford City, but after Jordan Archer was recalled by Spurs, we got Matt Ingram back ourselves. After the Wycombe game, I ran the half mile to my car and was knackered by the time I got there, starting to show my age I think. I made steady progress up the M1, knocking half an hour off my estimated arrival time of 8.15. I was lucky to find plenty of parking within a few minutes of the ground and got in just as the teams were kicking off. 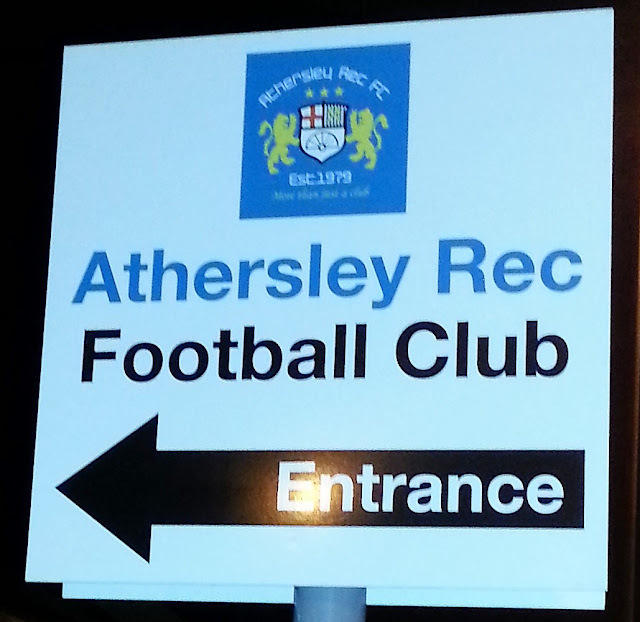 Athersley were top of the NCEL Division 1, whilst their visitors were second bottom. And this showed in the game, with the home side running out easy 8-1 winners. There was a crowd of 507, massive for this level, where most teams only get double figures. Steve Bennett set the home side on their way, opening the scoring as he finished well past the keeper. It was 2-0 soon after as Tom Harban converted a penalty, putting it low to the keepers left. Askern Villa got one back just before half time as Matt Brown scored. 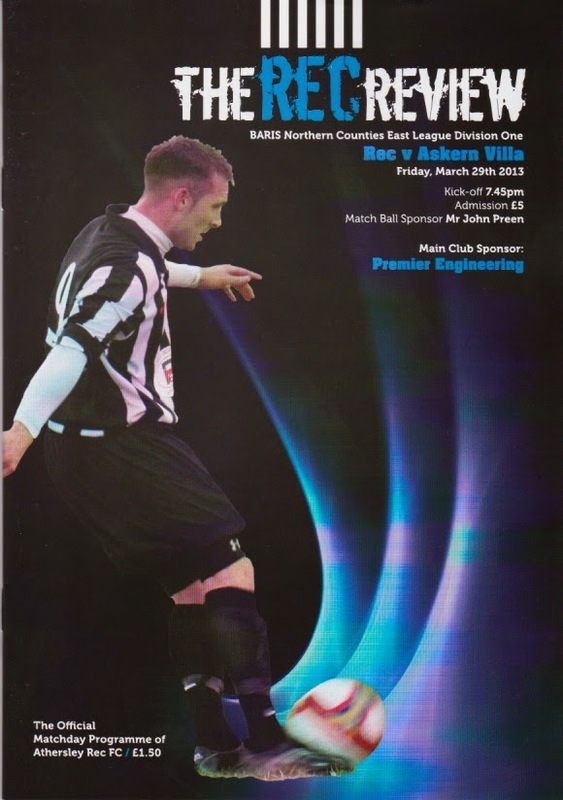 But straight away, Athersley restored their 2 goal lead when Steve Bennett got his second. The second half continued in the same vein as the first, with Joe Thornton making it 4-1 as he rolled the ball into the net with the keeper unsighted. It was 5 soon after as Jason Bentley was left unmarked as the visitors failed to cut out a cross, and the 6th came as Bennett finished neatly past the keeper. Further goals from Bentley and Bennett made it 8-1 to the home side. I was really glad I came, seeing a few people that I knew. Firstly the bloke who sells the badges at AFC Wimbledon, as well as 3 Wycombe fans who recognised me by my coat, and a couple who had Wycombe supporting family staying the weekend. 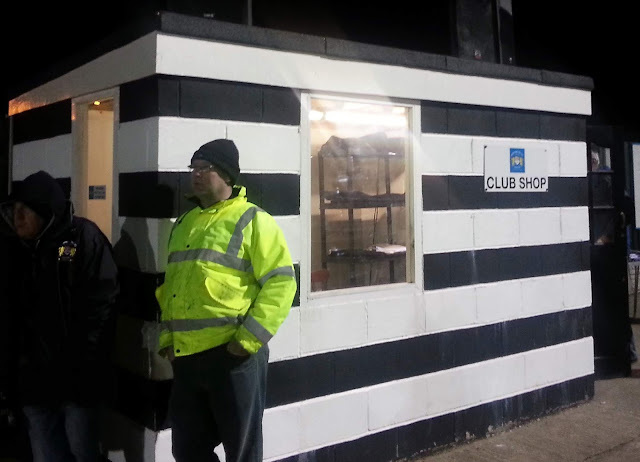 It was also a really friendly club and a tidy setup. I had enjoyed a great game of football at a really nice club, who look very likely to gain promotion. Certainly a lot better than the game I had seen at Adams Park earlier. After, I made my way back to my hotel, getting there about 10.15. As it was in the centre of town, I chucked my stuff in my room and headed out into town. Again, I used my CAMRA app and found a lovely place called Harry's Bar. There I had a pint of Haymaker cider, as well as a Yorkshire one and a Cherry beer. By then, feeling pretty relaxed and merry, I set off in search of food. But on the way, I was distracted by a pub called The Hops, a branch of which had been the highlight of my day in Leeds a few months back. Although this one didn't have as good a drinks selection as Leeds, it had a great live band. And I can't remember what cider I had, as my memory was getting hazy, but it was one that I had before, and it was very nice. I finally got my food in the form of a Keema Dhansak Curry, before getting back to the hotel and falling asleep straight away. ATHERSLEY REC is a cracking set up for this level. Unusually the main seated stand is behind the goal, seating around 150. There are covered areas along each side whilst the remaining end is uncovered. There is a decent sound system too, with 4 large speakers on top of the club shop. 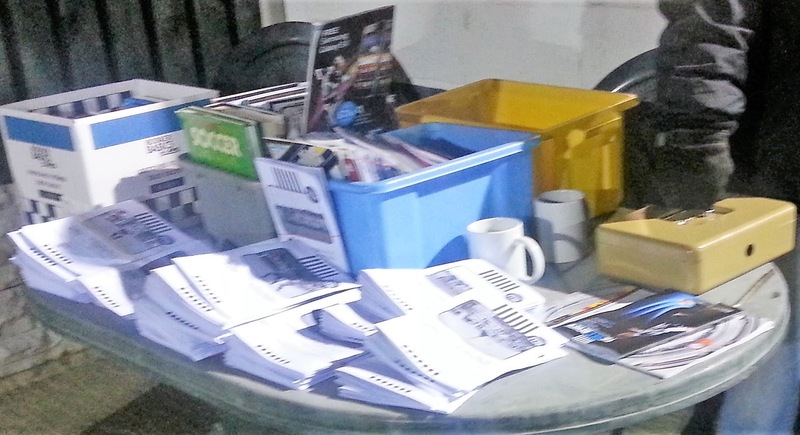 There is a club shop selling souvenirs and a programme and book stall too. The bar only sells cans, but at only 1.50 a pop, you can't complain. 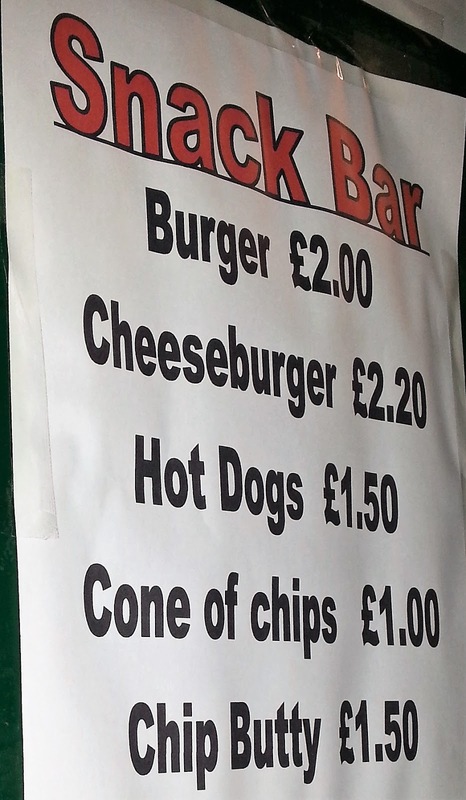 The tea bar is reasonably priced too and the chips I had were nice.